Welcome to our second 2017 in Review post, as we continue to look back on what has been a fantastic year of piano teaching resources on timtopham.com. Today, we look back at our best and most popular resources on a topic that is often relegated to a piano teacher’s last thought: Piano Business and Marketing. You may not think about it very often, but the way you market yourself and present your business, even if you are a teacher in a small town, is absolutely vital. You’d be surprised at how many teachers out there don’t even have a website! It’s time to embrace new forms of marketing and take every single business opportunity you can. Whether you are interested in starting an online teaching business, becoming a travelling piano teacher or just need some more help with marketing, check out some of these popular posts from 2017. Did you miss our first 2017 in Review post? Catch up on all of the best resources on Teaching Chords and Pop Piano Music by clicking here. Are you charging per lesson? Do you find yourself losing money every time a student cancels a lesson? Would you like to ensure you have a regular income? If you answered yes to any of those questions, and I’m sure you did, then you must give this post a read. It was by far one of our most popular this year and certainly helped many teachers out there. I changed to a recurring monthly billing process for all of my students and it has made my life and my piano business so much easier. If you’re interested in moving to MyMusicStaff, you’ll be able to access an exclusive discount as a member of my Inner Circle. Find out more here. I also recently did a live Facebook video on exactly how to use this template. You can see a replay of that below. Read the full article, which includes snipped of my studio policy and other things you should keep in mind when converting to monthly billing. Earlier in the year, I penned a heartfelt open letter to piano parents. I addressed some of the key things me and my community are trying to change when it comes to creating a new musical experience for students. If you’re wondering why I have included this in my business and marketing wrap-up of 2017, then think about it. You need to be able to talk about your creative approach to teaching in a way that will sell your product to piano parents. If they are hesitant at your modern take on a musical education, then this open letter can help you sell your business and your teaching. We want to be creative in our approach to teaching, and some piano parents may struggle to understand why you wouldn’t want their students doing exams every year. This open letter, which you can read here, is a way for you to show your piano parents the benefits of a creative and modern approach to musical education. Feel free to download this shorter version of my open letter, or click on the link above to read the full article. It will be a big help for you and your piano business. I was lucky enough earlier in the year to have the Music Mentor Group join me for a podcast episode. We spoke at length on planning. The aim was to look at the big picture. We spoke about marketing, student retention, automated systems and group teaching. Above all though, we’re focussing on one question: what is your vision for your business? If you’d like to listen to that podcast, click here. I also teamed up with the Music Mentor Group to release a very special studio marketing course exclusively to my Inner Circle. The 7-part course looks at everything from branding yourself to online marketing and the role of print and other forms of marketing. It was a crash course in piano business and marketing. 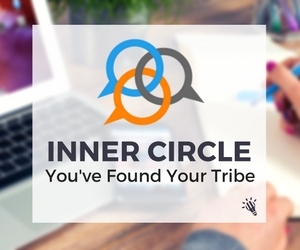 If this sounds like something you might be interested in, click here to find out how you can join the Inner Circle today. We also ran a completely free online training session on studio marketing. The webinar went for one hour and guess what, if you missed out, you can still access it online absolutely free. Click here to register for a replay of that webinar and start transforming your business and marketing strategies. Need a quick-win article to help you find ways to boost your productivity? In the post, you will see some time-saving tips, such as using Dropbox and converting your music to digital locations. Check it out because as a piano teacher, you will never every minute counts. What do you need a hand with when it comes to studio business and marketing? What resources did you enjoy this year? Leave your thoughts below.